… And so our obsession with Netflix true crime original drama continues. The story of two Texas Rangers’ quest to hunt down notorious criminal duo Bonnie and Clyde is set to be portrayed in Netflix’s new film The Highwaymen. Bonnie Parker and Clyde Barrow met in Texas in 1930 and are believed to have committed 13 murders, as well as several robberies and burglaries. The American public were enamoured with the pair during the Public Enemies era of the Great Depression, as they gained headlines for evading the authorities in shoot-outs and making daring getaways. Bonnie and Clyde, as they’re known, were killed in 1934 by Detectives Maney Gault and Frank Hamer – who will be played by Woody Harrelson and Kevin Costner, respectively, in the new Netflix film. Kathy Bates, of Misery fame, joins the star-studded cast in portraying Governor Ma Ferguson, who promises the state would capture the runaway duo. 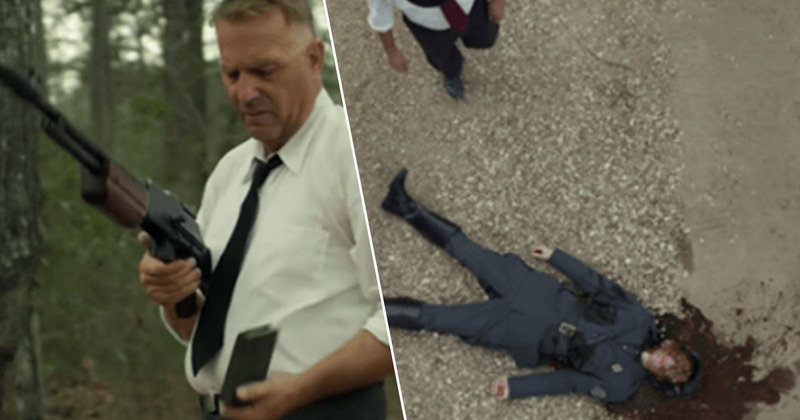 The Netflix take on the true to life events promises to offer a refreshing take on Bonnie and Clyde, and avoids glorifying their criminality, as other versions have done in the past. With a strong, brooding, dark aesthetic and two top front men who’ve earned their gangster acting chops on the likes of True Detective and The Untouchables playing the lead roles, there’s no way this won’t be one to watch. The Highwaymen will be released on Netflix on 29 March.